Welcome to April! Can you say two Aces in a row? Yes! This is no April Fool’s joke. First let me say I am not going to go out on some crazy, irresponsible limb and call this Awesome April, or anything like that. Awareness would be a much better word. Today’s Ace of Wands continues the surge of Divine Intervention from the Universe bringing you the power needed to go forth toward your hopes and dreams. Your creativity is heightened at this time and there is definitely change in the air, but alas, it is also retrograde season, so this is where the awareness comes into play. If you remain aware in your changes and strive to work with the Universe, rather than against it, you can still accomplish great things, just not at a rapid pace. But, that’s ok because you have some truly divine inspiration available to you; the Moon will be in Gemini today, so ideas may be coming at you fast and furious. Write them down, so that you can determine at a later date when, where and how you should act upon them. Should you be urged to show your creativity with an ongoing project, then by all means go for it. This is where your energy can currently be put to good use. This is your second day of feeling as though the Universe is working with you to restore you to your rightful power. Use that power wisely. The little monster is completely focused on his project. 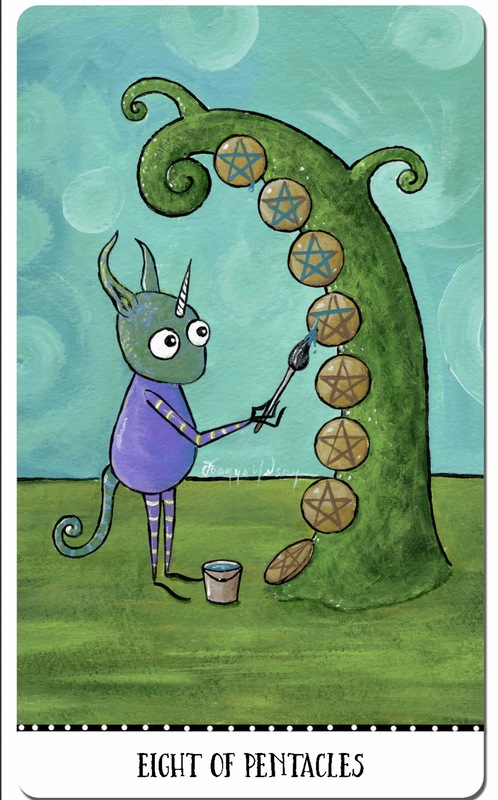 He works with total concentration as he adds the blue paint to the stars on each pentacle. The details are important to him as he takes pride in his work. Just keep working! Nothing can distract you from the task at hand. 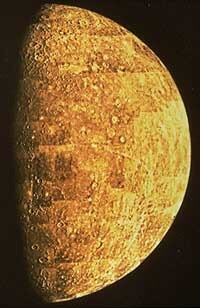 You’ve paid your dues, done your research, learned all you need to, and worked out how to proceed for the best. Now it’s time to just keep your head down and utilize all the skills and experience you’ve gained so far, to push you forward and help you reach the goal! 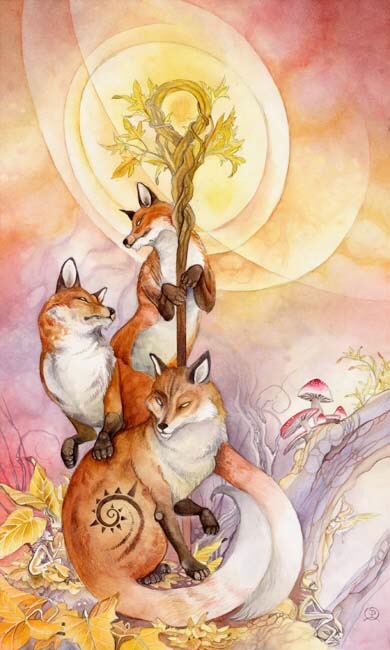 This entry was posted in Artist, Deck Review, Featured Card of the Day, General Tarot, Readings and tagged 8 of Pentacles, Joanna Nelson Studio, Monstarot, Tarot. What a week this has been! Seize your power today and step into your truth! You still have magnificent energy available to you from Monday’s New Moon in Aries, and of course the transit of Jupiter square Pluto is still in play. Whether you are making things happen today, or already have in the last few, and are beginning to feel as though you are getting your mojo back, this is an incredible way to end a month. Victories, breakthroughs and clarity are available to you today, so unless you have your head buried in the sand, it will be obvious that the Universe has bestowed some Divine Intervention upon you. Wield your power carefully, and with positive intent, for there is that side of Jupiter square Pluto which can fuel corruption, especially in issues where the lines have been drawn. Use your power for good and you will continue to grow and prosper from it when the timing is right. Be mindful of those Taurus blinders, and be sure to look both ways before proceeding. While progress may be slow in clearing up a lingering issue from the past, you find favor from the Universe to help you get the ball rolling. You can take control of the situation as you work toward your new identity, ultimately putting yourself back in the driver’s seat. If wise, by using the lessons of the past, you can truly make this work for you. Even though it is retrograde season and you may think the Universe will not grant you your true desire at this time, it is important to keep on putting forth the efforts. Know that you will be rewarded when the timing is right. There is still change available to you right now through your continued hard work, but those changes come in small installments, dribs and drabs, if you will. Of course, I would be remiss if I did not express the need to take your time and be thorough with things, double and triple checking, as it may be hard to determine if you have the proper clarity needed for certain choices. This entry was posted in General Tarot, Readings, Through the Eyes of Tarot and tagged Guidance, Mercury, Path, Reading, Tarot, Taurus. 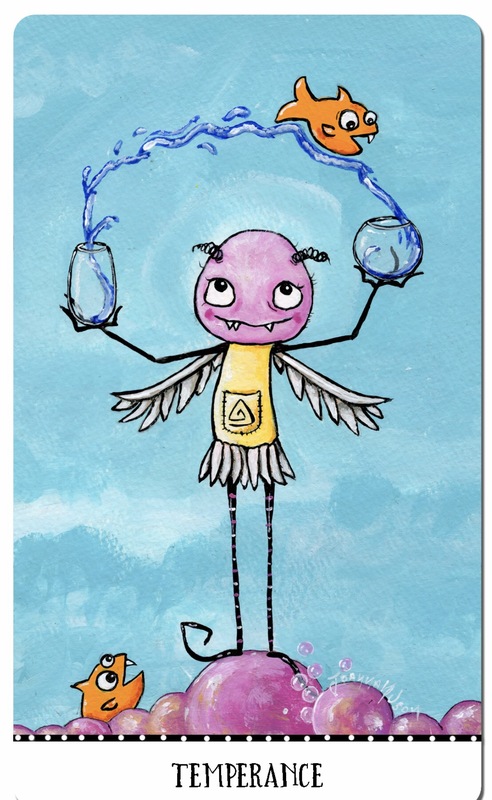 Standing with one foot in the pink bubbles, this patient winged monster mixes the water from the lower glass bup to be higher. A look of tranquility is the expression on this monster’s face as the snaggle-fish acts with timing and precision. You’re managing to make time for yourself, concentrate on your innter peace and calm efore dealing with the general hustle-bustle of life. You’ve learned to see both sides of situations, and use this to work respectfully and diplomatically through the challenges you face. Things are going well, but life, as alway, is a bit of a balancing act and there are still a few niggles to be worked through as you hone these skills and focus on who you are and what you want, from work, relationships and life. This entry was posted in Artist, Deck Review, Featured Card of the Day, General Tarot, Readings. Look, there it is! That is your future up ahead and you are ready to call it to you. Now that you know it is possible, assuming that an important turn of events has just taken place, you can move your sights in that direction. 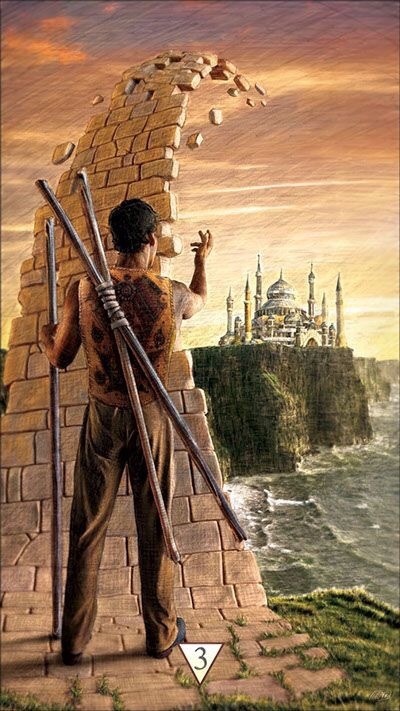 Destination June through September will be the next phase of your ongoing path, but currently this energy is you moving toward that spot in time, preparing for that next phase. The 3 of Wands is that moment where you can see the future off in the distance, but also know you are not quite there just yet. There is much to do before the time arrives; this is not a time to sit idly by figuring it will all be handed to you, ultimately it is what you send out into the Universe that brings you that next phase by the Solstice. 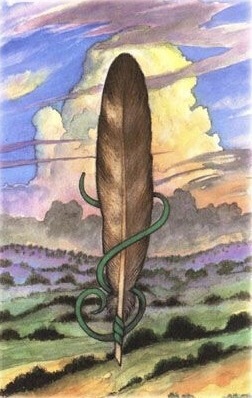 Typically, this card is shown with a figure standing at the edge of the marshes, waiting for their ship to come in, for they can see it off in the distance. You have turned your back on a particular chapter of your story now, and will be spending the coming weeks preparing for what is about to come. Yesterday, I was apparently having a Mercurial moment, and my post stated that Jupiter had squared Pluto a couple days ago; it is actually today. The actual transit occurs at 2:19 pm EST, it can be felt a couple of days on either side, and it is also the second of three; we will definitely be discussing the third and final which occurs a few months from now. This card feels fitting for today, and there will be power plays galore going on during the time span of this transit. How you have achieved something is just as important as what you have achieved. This entry was posted in Card of the Day, General Tarot, Readings, YouTube Videos and tagged 3 of Wands, Card of the Day, Guidance, Path, Reading, Tarot. Two loosely-chained micro-monsters stand before a mischievous, devil-like monster. The chains are loose enough to escape from, but the two still stand as if in a trance, eyes glossed over, giving into the illusion. You feel bound on a course of action, as though things are beyond your control, but the reality is that the choice lies within you. The Devil’s followers are chained, eyes unseeing, but their hands are not bound, the chains are loose. The metaphorical devil – your own desires, temptations and compulsions – has no real power over you, except what you give to it. It’s a harsh truth to face, and it’s not easy to let go of practices that offer immediate gratification, but you do need to look at the long-term result. You can change anything you want to, if you want it enough. 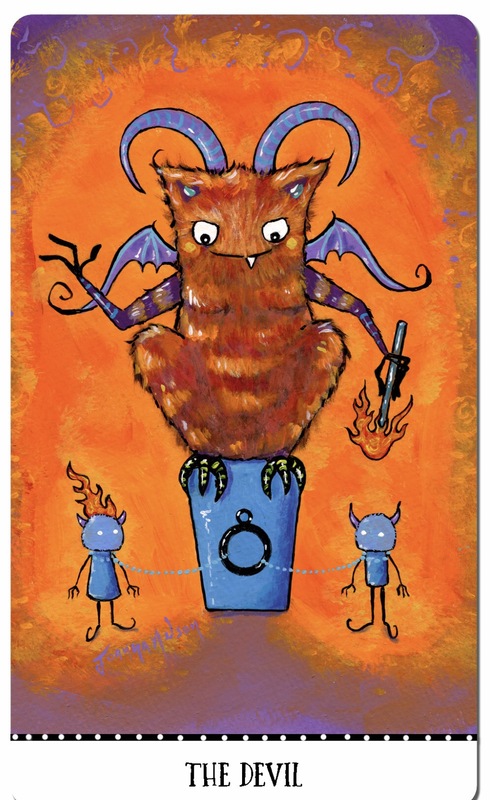 This entry was posted in Artist, Deck Review, Featured Card of the Day, General Tarot, Readings and tagged Devil, Joanna Nelson Studio, Monstarot, Tarot.